Company Profile | Goel Scientific Glass Works Ltd.
Trust & Transparency in everything we do. Go beyond possible to make customer happy. Growth and Happiness for everyone connected. Understanding the Glass at it’s best, we forge Glass with the precise mixed combination of craftsmanship of Potter, Blacksmith & Goldsmith with a blend of engineering, being “The Transparent Specialist”. Developed the unique XTRONG range of glass equipments, which possess a tightening strength as high as 3 times than earlier conventional ones and thus almost eliminated leakage and breakage problems while tightening. Introduced Glass Shell & Tube Heat Exchanger in Indian market for the first time. Started "Process Plant Division" for the development of new products for catering to the needs of borosicilate glass equipments users. The process plant division is committed to the development of newer equipment tailor made to suit the user industry requirement. Started manufacturing Spherical Vessels from an entirely new technique first time in the country, placing us in line with other overseas manufactures of these size vessels. Became the first ISO-9001 certified company in the " Industrial glass equipment manufacturing "segment in India. Successfully executed a single large export order of 640,000 multi-necked flasks of various capacities whithin a time of 8 months. Developed 300 Litre Spherical Vessel & participate in Achema 2003, Frankfurt, Germany. 800 DN pipe section manufacture first time in India. Manufactured 500 Ltr. spherical vessel. 2007 Developed FLEX-HE (Assembled Coil Type) heat exchanges. Awarded for outstanding performance for the year 2006 - 07 by Govt. of Gujarat, Ministry of Ind. & Mines. Manufactured for the first time 800 Ltr. Kettle and participated in ACHEMA – 2009 at Frankfurt, Germany for the consecutive 3rd time. Developed Assembled Jacketed Vessel up to 200L Capacity. Participated in Achema-2012 for 4th time & presented Triple Walled Glass Reactor. Successfully supplied, 1st time, Anhydrous HCL Gas Generator by Calcium Chloride Route & developed Graphite Shell & Tube Heat Exchanger . 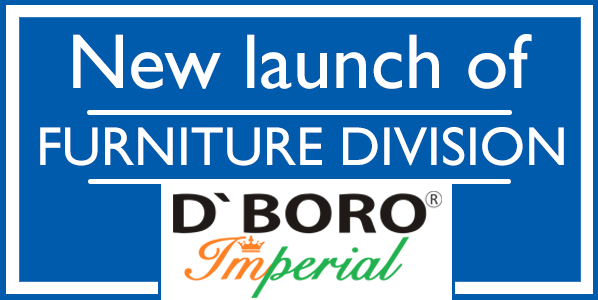 Entered into Decorative Glass segment with brand “D’Boro”.Developed Glass Synthesizer upto 200L. Awarded for outstanding export performance by Honorable CM of Gujarat, Smt Anandiben Patel and 1000 DN Pipe manufactured for the first time in India. Participated in ACHEMA for the 5th time. National Award for “Quality Products In Micro & Small Enterprises” by Kalraj Mishra Minister of MSME on behalf of PM Shree Narendra Modi. Started supplying CE certified kilo lab distillation units.